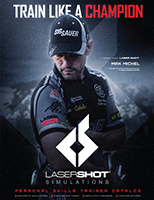 "Laser Shot Personal Skills Trainers are the secret weapon of world champions such as Team Sig's Max Michel." 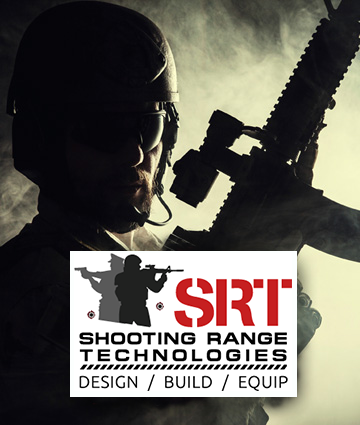 Since its establishment in 1999, Laser Shot Firearms Training Simulators has remained committed to developing the most realistic and practical firearm simulators, crew training simulators, and live fire facilities available to the government, and public. Laser Shot offers progressive training solutions for all skill levels while focusing on the core principles of “train like you fight” and being adaptable to individual customer needs. Our training solutions augment existing programs with safe alternatives, technologically advanced simulations for immersive training or cutting edge range facilities. For over 10 years Laser Shot’s hunting simulator systems have been installed in commercial venues and homes worldwide. The system uses the latest in laser hit detection technology to provide an accurate and realistic hunting simulation experience. Laser Shot's Hunting Simulator was designed with input from Hunter Safety Professionals from around the world.